It’s a terrific feeling to realize your dream and hold your shiny new published book in hand. But if you want other people to get their hands on it too, you’re going to need a good marketing strategy. When you publish your book through Outskirts Press, you not only have a team of experts to walk you through each publishing step: you also have marketing experts and a variety of promotional options to help you get the word out about your book. Outskirts Press is proud to announce a new marketing option for its published authors — the PW Select advertisement. 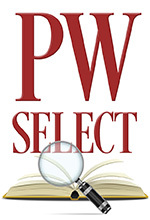 PW Select is a monthly supplement by Publishers Weekly dedicated to the self-publishing industry. Each issue features interviews with authors, book announcements and listings, news, features, analyses, book reviews, and more. Publishers Weekly (PW) is a powerful trade magazine that targets publishers, librarians, booksellers and literary agents. Now, with the PW Select advertisement, Outskirts Press published authors can increase exposure for their books by getting them in front of Publishers Weekly subscribers (and more!). Start promoting your book with PW Select now, and discover what a smart and strategic marketing move PW Select can be!